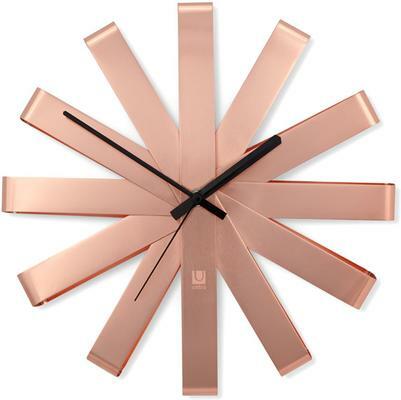 If you want flash and style, the Umbra Ribbon Wall Clock in Copper serves as the perfect choice. 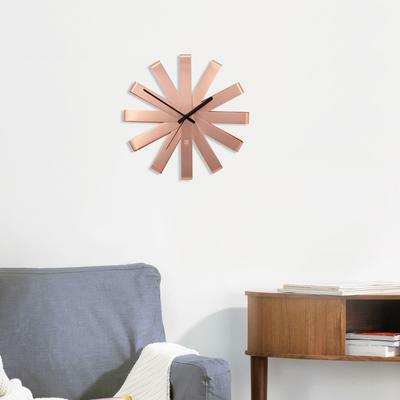 Made from high quality stainless steel, the clock features a lovely copper finish. 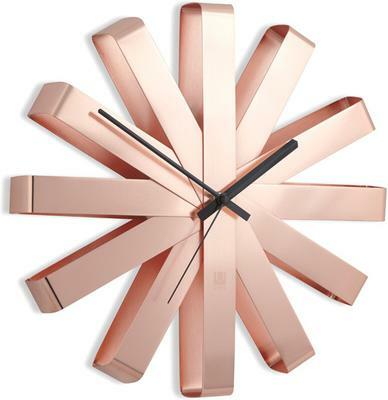 But what makes it so striking is the design of the clock face. It's made to mimic a ribbon-like design which stands for the twelve hours and there are two black clock hands placed at the centre. The contrast between the copper and black clock hands makes this easy to read time. Hang this on your living room wall or inside your office, it's a beautiful clock that truly deserves to shine on its own.